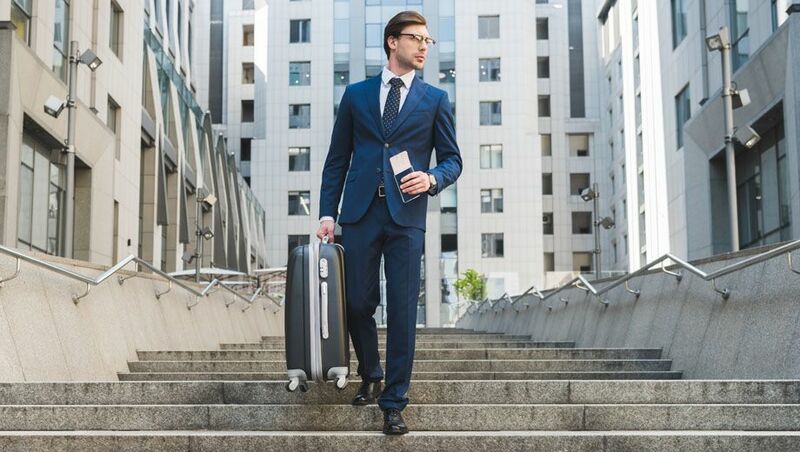 By nature, most business travel involves lots of sitting – whether that’s at the airport, on the flight, in meetings or in cars to and from – and plenty of eating too, such as at the hotel breakfast buffet, dinners out with clients, or again, in the air. Combine the two and it’s very easy to slowly stack on the kilos. And let's be honest, finding time for health and fitness during a packed business trip can be tough. You can't always hit the gym for a 30-45 minute session, so here are some of the practical approaches I take to try and help keep the weight down when travelling for work. Whether in the lounge, on the plane, at the hotel buffet or anywhere else on my business trips, one rule I constantly follow is not to eat food just because it’s sitting there in front of me or the option is available. If I’m hungry, then absolutely – but, for example, on overnight flights between Asia and Australia, many airlines begin the journey with a full dinner service even when departing late in the evening, when the departure time is better-suited to going to bed. I wouldn’t eat two dinners at home, so I don’t do so just because I’m travelling: having my evening meal on the ground before the flight, and breakfast just before landing or after I’ve reached my home or hotel is more than enough food for me. Skim, skinny, semi-skimmed, non-fat, 2% or whatever the local terminology may be, when ordering my usual latte, adding that magic word to the order is an easy way to keep extra calories at bay, while still enjoying my preferred cuppa. In the same vein, I never drink full-calorie soft drink: only the diet stuff, and when it comes to dessert, I adopt the same approach as in the last tip – if I’m already full, it doesn’t need to be eaten! When I’m not, smaller portions generally win over large and elaborate desserts. I’m no stranger to hotel fitness centres, and I’ll make good use of them where I can: but where my schedule (and the weather) allows, I’d rather spend my time walking around and exploring a new city than merely taking steps on a treadmill, especially on days off. For instance, I recently found myself in Boston on business with a day to spare, and being my first time visiting the city, decided to spend that day sightseeing. 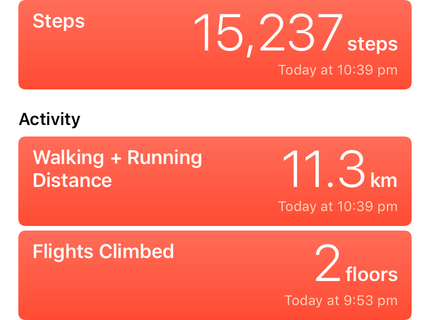 Rather than taking taxis everywhere, I ventured out on foot – easy to do there given the city’s clearly marked walking trails – and managed to notch up over 21,000 steps in a single day. 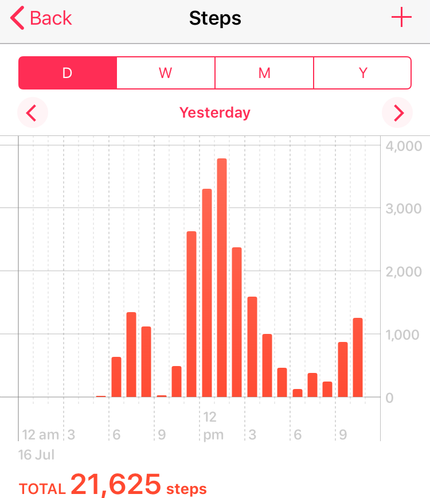 You don’t need a smartwatch or standalone pedometer to count your steps: many smartphones can do this by default – with iPhone, the feature can be enabled and monitored via the Health app, for example – and I find that seeing how many steps I’ve taken (or the lack thereof) encourages me to take more. Again, while I could just take a car from door to door, I find catching public transport another easy way of keeping those steps up – especially on journeys that have you walking through large stations, or where there’s a walk involved between those stations and where I am or where I need to be. Obviously, this doesn’t apply when I’m pushed for time and public transport is less practical, although in some cases, taking a bus or train can be faster than navigating through traffic, saving time while also providing a quick spot of exercise on the go. 5. Don’t forget to enjoy yourself! While it’s easy to forget about health and fitness on the road, in my view, I don’t want to think about it too much either, because I enjoy the fun of travelling, and counting calories with every meal would take some of that fun away, or prevent me from trying some of the local specialties. Instead, my practical approach helps to keep the kilos off without it feeling like a chore, and while still exploring and enjoying all that each city has to offer. I also turn a blind eye when there’s nice Champagne being poured – because hey, after a long walk around the city, I’ve earned it! What’s your approach to staying trim on your travels? Share your thoughts in the comment box below! On hotel maps: I found this in Zurich recently, too - I was only staying out at the airport but the hotel (Hilton Zurich Airport) provided a tourist map and a suggested 'walking tour' map of the CBD in the welcome envelope with the room keys and hotel lounge details, etc. Put it to good use the next day! That's a hard one keeping the pounds off, food quality is a big one for me. Small plate with quality food is what I aim at eating. All good tips, I lost 10kg despite travelling a lot just by cutting down carbs and sugar, when travelling these are the big problem, if you don’t put it in you don’t have to burn it off. This is a small step but overall I find it does help. I always walk at airports and never use the escalator or travelator. Of course if one is lugging a 10kg carry on and dog tired, then that's a different story. 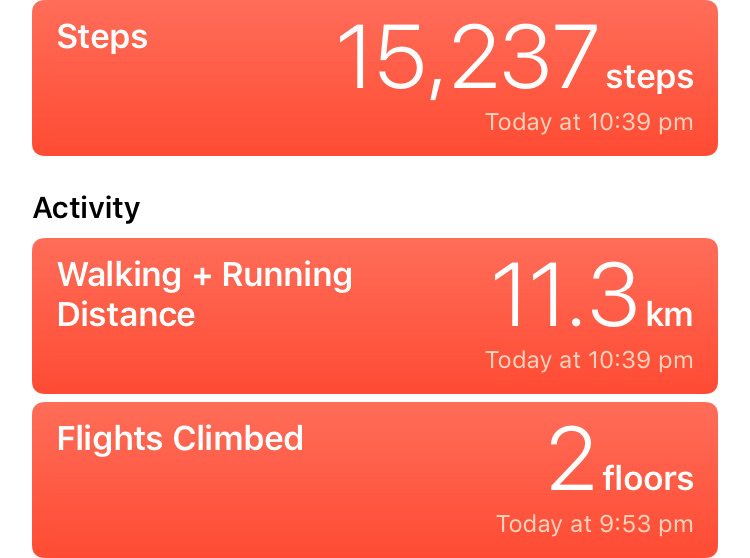 On occasion when I have a 4-5 layover at Singapore Changi , I have walked all the way from Terminal 3 to Terminal 2 via Terminal 1. It's very pleasant! I find the biggest challenge to walking around Changi is the carpet when wheeling a bag, more so than the tiredness factor, ha! Make sure you've got good shoes... If the shoes you wear while working leave your feet feeling tired, it's time for an upgrade. If I have sore feet at the end of the day then I just want to sit down. Getting shoes I can wear to work that are still comfortable after 10,000+ steps made a huge difference. Also if you can pick a hotel near a lap pool, that can be a great option. This has worked really well for me in Townsville. I'd also suggest doing a bit of research before you go. If you know where walking paths are, or where the greengrocer is, before you arrive, then it's much easier to fit them in while away. 'Low Calorie Meal' and 'Fruit Platter Meal' are your best friends. It's better to drink natural, full fat milk but less of it rather than the concoction of chemicals and additives that are skim milk and margarine, which are VERY unhealthy. Good article Chris. The walking tip is spot on, and isn’t it funny to watch the reaction when you decline food on a flight. Indeed, the crew always seem confused when you're not interested in eating a 3/4/5-course meal at midnight on a mere eight-hour overnight flight! I’ve always said “one’s waistline is directly proportional to one’s frequent flyer status”. Skinny milk is a misnomer though - it generally has more sugar than full cream milk (they have to replace the flavour of the fat somehow!) and therefore is not really any better for you. That'd depend on the supplier (and sometimes by country), but it's not what I've observed. For example, a simple comparison between the basic Woolworths full cream milk and its lite (skim) milk shows that full cream has 6.3g of sugar per 100mL, whereas lite has 4.8g. On the energy front, full cream has 292kJ per 100mL, whereas lite has 186kJ, and in terms of saturated fat, full cream has 2.3g per 100g, while lite has <1g. You don’t need full cream milk if you’re over 2 years old period. Sure it tastes better but why clog ur system up? Makes no sense. Skim milk is much better than nothing and the smart choice when it’s a reputable brand. It's tough when you have back to back business dinners. Especially in Asia where you can expect the host to stuff you to the gills. But if there are free days in between I try and go light. I find most supermarkets or cafes around the world have some form of light nutritious take-away meals, e.g. sushi, salad packs etc. Skipping a meal here and there helps too. No fast food, no junk food. Flying puts me out of sorts anyway and junk food makes the recovery just that bit worse. Also avoiding the mid morning, mid afternoon office/meeting snacks is another rule I try and live by. Walking/running outdoors is a great strategy, but not always practical or safe. So I hit the hotel gyms, if none, sometimes local gyms on a casual rate. I've even travelled with a skipping rope before. The iPhone health app is great, not just for steps but also “flights climbed”. I find myself taking stair wells instead of lifts these days and have jumped from 6 flights a day last year to 14 this year. Great article Chris. I'm actually a corporate health and wellbeing coach who also travels a lot for work and agree with everything you've written, I try to practice all of those things. One more tip I can add, which is very simple, is water! Drink lots of it whenever you travel! It helps in multiple ways, it'll make you fuller before meals so you tend to eat less. It will help with jetlag, as part of it is dehydration from being stuck in a low humidity space for so long (ie the plane). It also helps to manage stress levels from things like fatigue, busyness of work, anxiety of travel, etc. 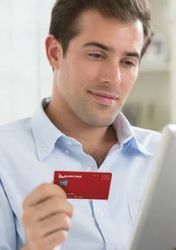 Comment on "Tips for staying trim when travelling on business"